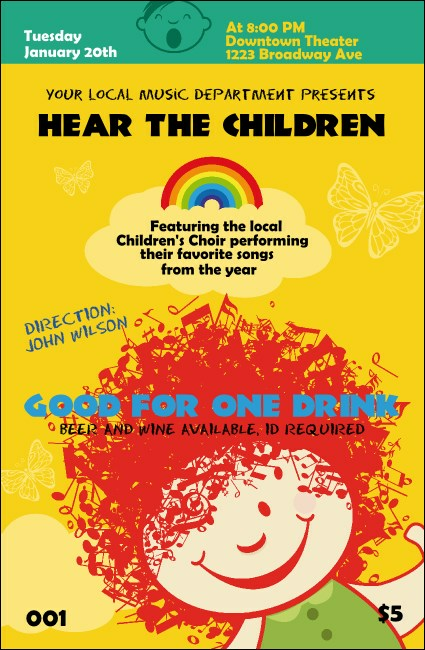 Help everyone feel the bliss of your upcoming event when you hand out the Children's Music Drink Ticket! This vivid ticket features a glowing yellow backdrop with a rainbow and the charming face of a young child with a tangle of red musical notes for hair. Sixteen text fields await all your info.